Several of us in the Woo Hoo Crew are participating in a virtual 12athon. 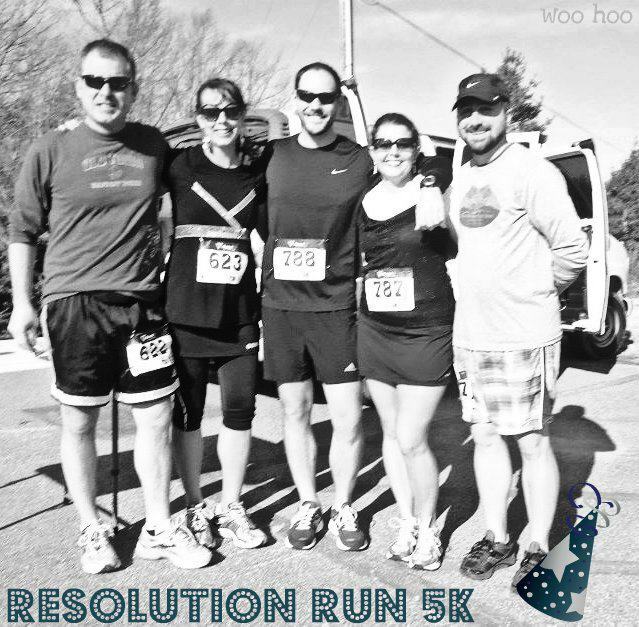 Conceived by our friend, Iris, participants agree to run 12 miles on the 12th of each month in 2012. Each runner earns 12 points for each 12 on the 12th. However, to keep things interesting, Iris adds challenges that folks can complete during their runs to earn bonus points. Last night, I completed my January run. Because it was a weekday during a quite busy week, my options were kind of limited as far as how I could go about completing my run. Nathan and I knew we were running after work, so we decided to meet up at my office building and run from there. Nathan is a good deal faster than me and I didn’t want him waiting around for me, so I planned a route that would start me at my office and take me through 12 miles before ending my route at home. Side note: this is now called the Rush Hour challenge and is worth 4 points. I also decided to do the Galloway challenge for this run. I thought 5 minute runs followed by 1 minute walks would easily be doable. And, I thought this would be a good way to ease back into the longer distance, seeing as I hadn’t run more than 8 miles since late October. We got started on time, and I felt great through the first three intervals. However, as I began my fourth, it occurred to me that I was running each interval like I would have run them at the track. And, for a 12 mile run, that was way too fast! I took care to slow down my running and took a few longer walk breaks until I got right. After that I was good until about 8 miles into the run. Running down Friendly Avenue is always, um, interesting. The hills roll the entire length from downtown to the neighborhood where we live. My legs weren’t particularly happy and neither was my breathing. I slowed it down again from 8-9. Once I hit Friendly Center, I kind of cruised. Unfortunately it was about that time that I heard a beep from my Garmin and looked down to see the Garmin logo on the screen. I don’t know what happened, but I kind of flipped out on the inside. The last time I had looked at it, my time was at 1:52 and now it was at 2:00. I didn’t know how much distance I had lost and I didn’t have much wiggle room in the distance of my route. I hoped Iris would take my route map as evidence if I was short. By the time I crossed Holden I was pretty well spent. I ran very little and was more than relieved to make the turn onto Kemp toward home. My calves had been spasming quite a bit so I decided it was probably best to walk it back to the house. I trucked along at the best pace I could and finally managed to make it into the house two minutes before the time I had told Nathan to send out a search party for me. I can’t wait until the February run! Nick shared a link that he found on RunnerDude’s Blog with me. The information is from MP3running.com. It’s the workout you love to hate and hate to love. For most, track work means running as hard as you can, trying the whole time not to puke, and feeling awful the last few steps of every interval. For others, the fear of stepping foot onto the track is enough to make you run in the other direction..get it, run…anyways. But like everything that is good for us, even though despised at first, can end up being the thing we love most! Track work, love? Really? Track work can and probably will lead to an increase in quickness, overall efficiency while running and help us all reach those PR’s. The uncomfortableness you feel during track work may actually help you learn to deal with tough spots during races or tempo runs. Mind over matter. You learn pacing. For most of us who rely on our Garmin watches, looking down and seeing a 7:00 min pace for those 800’s might seem like a great thing until you poop out on the 2nd lap. The finesse needed for pacing starts to become second nature…when to push pace, when to hold back some, and when to hold the pace. You become really good at reading your body’s signals. You’ll surprise yourself how speedy you actually are! It’s flat and easy to record distance. The perfect environment to tear it up! See what you are made of! You burn fat!!! Who wouldn’t love to lose some fat?! You kick start your metabolism with speed work and you’ll keep burning fat long after you finished that last 400. Pride and a sense of awesomeness. When looking at a track workout and you see 12 x 400 (Thanks, FURMAN First plan! ), a sense of dread and a feeling of failing before you even start wash over you. If you just take each interval as a separate excuse to celebrate, by the last 400, you feel a huge sense of accomplishment! Track Work: Just Do It!